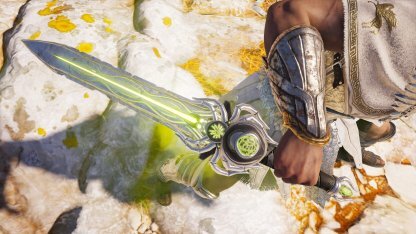 Check out the stats and how to get the Legendary weapon - Arachne's Stingers for Assassin's Creed Odyssey! 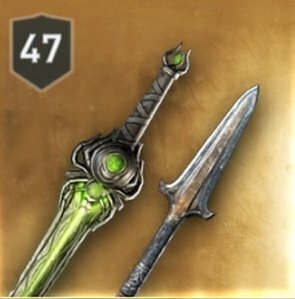 Unique Perk - "Weapon Damage becomes Poison Damage"
The Arachne's Stingers is a legendary dagger that imbues all your weapon damage with poison. It is extremely powerful when paired with the Snake armor set. Check Out The Snake Armor Set! Not only does this legendary dagger turn your all your attacks into poison attacks, it also boosts your Assassin & Poison Damage - making it very effective in dealing massive damage over time. Defeat The Mercenary Titled "The Weaver"
This legendary dagger is a drop from a mercenary whose name is suffixed with "The Weaver". Check Out How To Fight Mercenaries! This mercenary roams around Greece and has no fixed location. To track them, you need to first discover them by getting clues from other mercenaries by killing or recruiting them. You will only be able to encounter this mercenary when your character is at Level 43 onwards. Weaver popped up in a Bounty from the message board at Lvl36.